Notorious beggar Benjamin Holst, who first hit the headlines in 2014, when he used his swollen leg to get money out of generous Thais who were sympathetic towards his plight. Holst’s story was shared among Thais on social media and he even featured on national television. He later received a 50,000 THB donation from an association which assists German nationals overseas. However, rather than going back home, he travelled to Pattaya where he was photographed partying with bar girls on Walking Street. He was later arrested by Pattaya police and deported. Holst has then been photographed begging in Hong Kong, the Philippines, Indonesia and Singapore. On Tuesday he tried to board a Thai Airways flight from Zurich to Laos, with a transit in Bangkok. However, the airline refused to allow him to board, citing that he was blacklisted by Thai immigration. 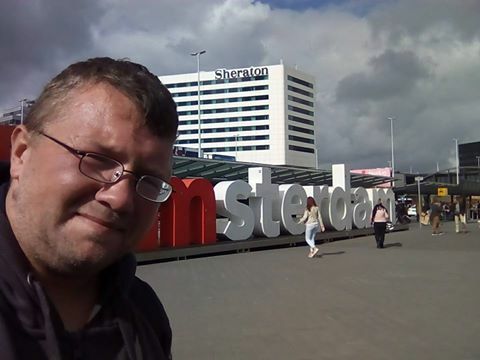 According to his Facebook page, Holst then traveled from Zurich to Amsterdam and bought a new ticket for a KLM flight at Schiphol, where it is presumed he continued on his journey to Laos. Look out for a story of Holst pulling his usual stunt in Laos in the coming days.